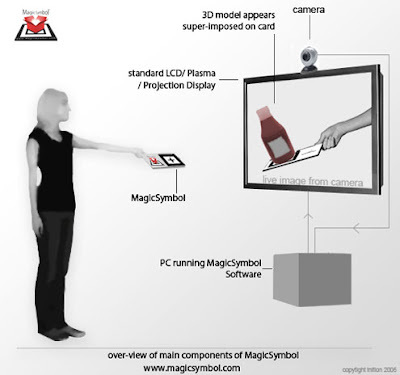 Magic Symbol is a new technology that brings to life real world items by turning them into 3D digital images. Consumers take a pre-printed card to a scanning point and see it turn into a pre-selected 'Magic Symbol' image on screen. This extends the engagement of printed material and gives opportunities to develop unique marketing messages. The Magic Symbol website has a video showcasing some of the promotions that they have run at www.magicsymbol.com - seeing Magic Symbol working in real life is the only way to explain it properly! Magic Symbol technology gives an interesting opportunity to integrate offline / digital whilst spreading word of mouth - I think this sort of joined up approach (with one medium stimulating response in another) can only become more important as time and technology move on.